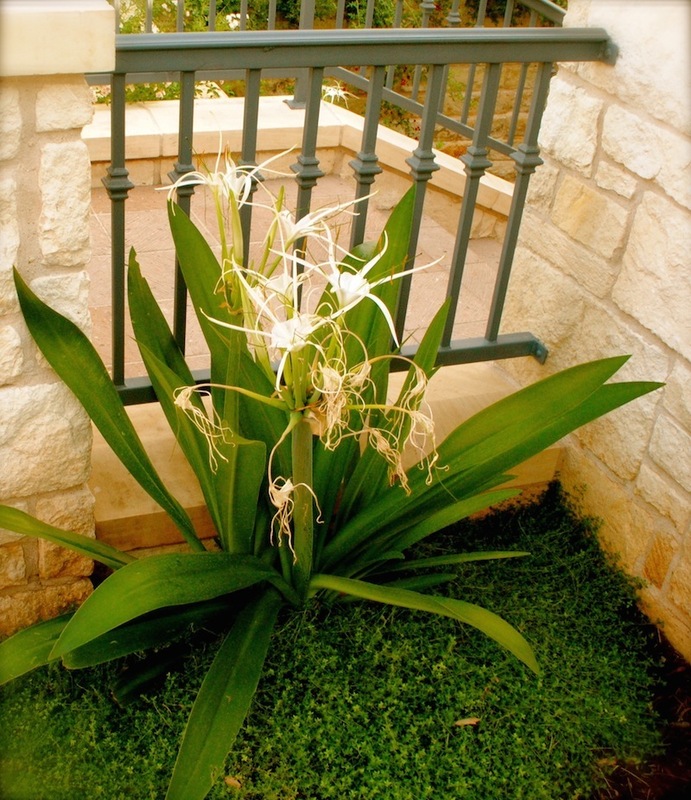 Building a garden for a plant enthusiast is always a joy, and this one -our second for this client- was no exception. 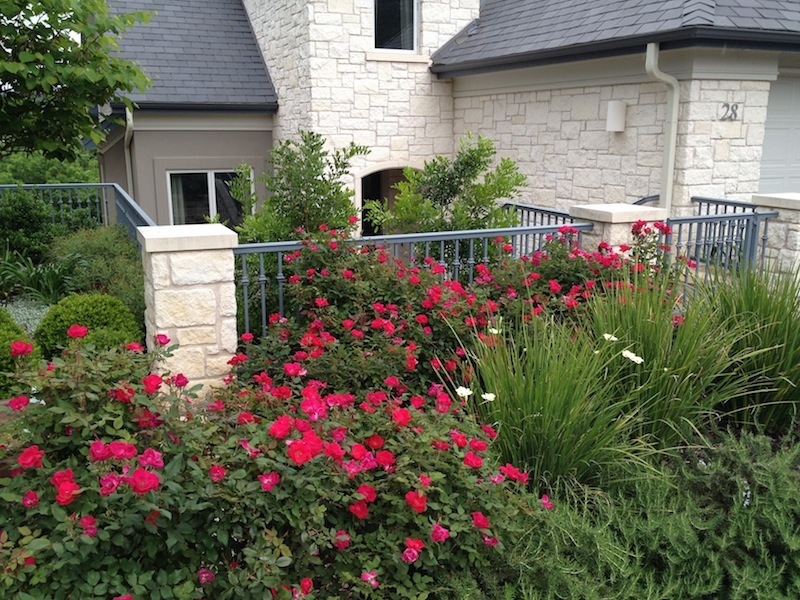 Nestled at the edge of Lady Bird Lake, this four-story limestone house needed plantings to complement its mass, harmonize with the native stone outcroppings and move through all four levels. 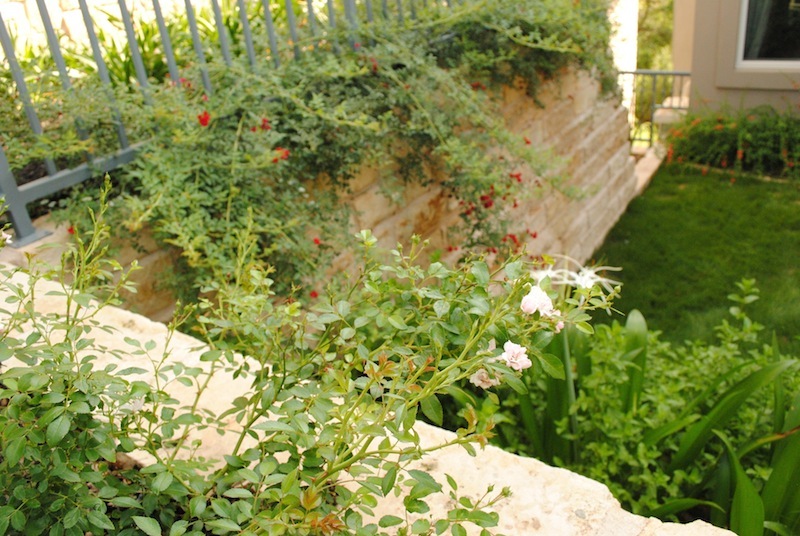 The result is a series of gardens built for luxuriating. 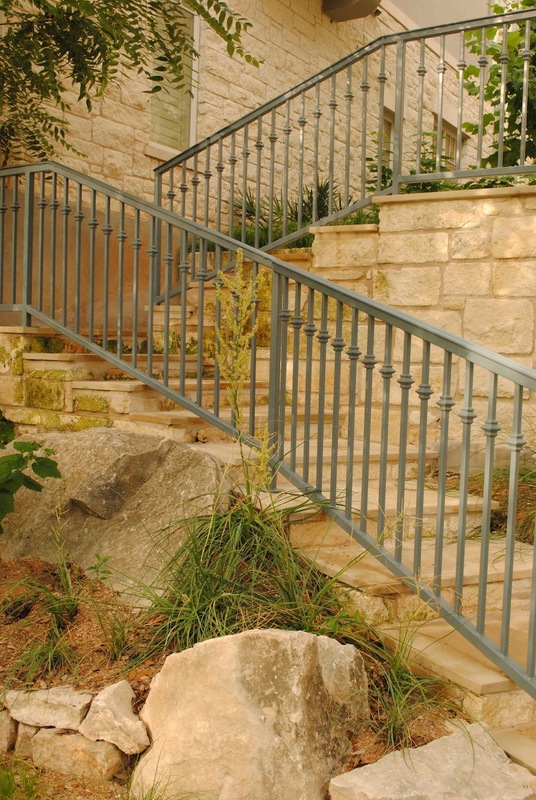 We anchored the design with a flight of handcrafted limestone stairs, built into existing boulders, that leads visitors through the gardens to the lakeshore. 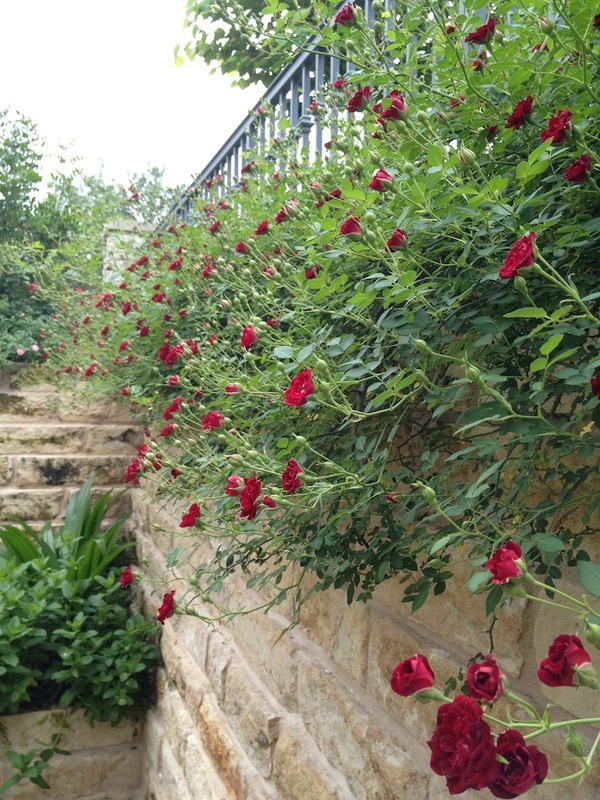 Planted with a combination of low-maintenance natives and easy-care roses, this garden is a breeze to maintain, while swimming in rich textures and color combinations.